Subcontracting | PPM Masterbatch - Trust us. We perform. Quality is the basis for your success. Because quality is the basis for your success, we offer you our know-how and our production facilities for contract manufacturing Many well-known manufacturers take advantage of this service and develop – jointly with Polyplast Müller – specific products that are exclusively manufactured. Every product is developed jointly with you in our well-equipped quality laboratories that greatly exceed industrial standards. 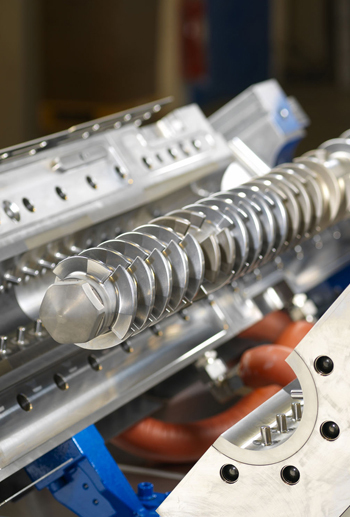 State-of-the-art production processes such as Buss kneaders, twin screw extruders, as well as continuous and discontinuous mixers can be selected for the most varied applications. At the same time, the extensive quality assurance system ensures consistent product quality. The stricter the requirements, the more attractive will be the challenge for the Polyplast Müller engineers – because only when we can put our entire expertise to work will the product be optimal. In other words, we will only be satisfied when our product is quickly and reliably available, economically efficient, and offers the best processing properties.